But if one does not understand italian, what would he see? A string puppet? 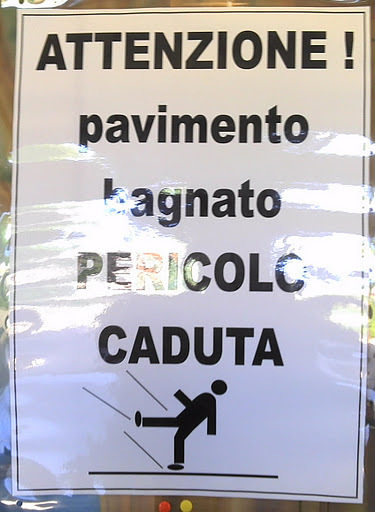 Or a man who's falling, but not because of the water on the floor: because he's beeing pulled from his feet with ropes. In comics, the movement effect is done with lines that follow the subject in his motion, they don't trail it. This one is really falling.